As the largest property management company in North America, we have earned numerous awards and garnered the attention of reputable media sources. In addition to national recognition, Real Property Management is involved in the community and we are proud to say that we encourage local business and provide employment opportunities of all kinds from Maintenance all over the Greater Chicago Land area, staff in our 4 local offices and working with other busiensses in the region. 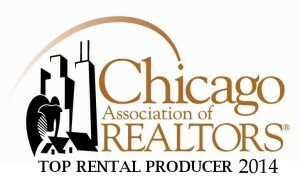 Real Property Management Chicago Group is also one of the largest Real Property Management locations in the Nation and we are proud to have received several awards in recognition of this from our parent company. From being part of the Prestigious 250, 500 & 1000 Club, Winners of the Presidents Circle Gold award, being designated PRM’s (Professional Residential Manager), All Property Management visitors choice award for multiple years 2012- 2017, and we are sincerely honored to have been Awarded TOP RENTAL PRODUCER consecutively for 2012-2017 from the Chicago Association of Realtors. We have 4 office Locations in the Chicago Land area and we are Extremely proud of our team, and are continuously training and growing to make ourselves even better. 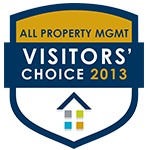 Come see the Real Property Management Difference!! !